ONE OWNER, BLUETOOTH/HANDS FREE CELL PHONE, 2 SETS OF KEYS, and REMOTE START. 4WD, ABS brakes, Alloy wheels, Electronic Stability Control, Heated door mirrors, Illuminated entry, Low tire pressure warning, Remote keyless entry, and Traction control. 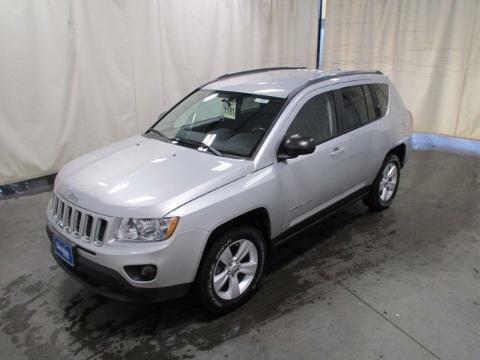 Be the talk of the town when you roll down the street in this low-mileage 2011 Jeep Compass. What a perfect match! This wonderful Jeep Compass is available at the just right price for the just right person - You! It is nicely equipped with features such as 2 SETS OF KEYS, 4WD, ABS brakes, Alloy wheels, BLUETOOTH/HANDS FREE CELL PHONE, Electronic Stability Control, Heated door mirrors, Illuminated entry, Low tire pressure warning, ONE OWNER, Remote keyless entry, REMOTE START, and Traction control.